Goodbye sore feet! As much as we love our heels, it’s time to switch them up without sacrificing our style. When the Shop With Us team found the super cool Linea wedge booties, Us readers rushed to snag as many pairs as they could. We could totally see why: They have a sporty design, are super stylish and best of all, have a wedge heel that provides height without sacrificing comfort. They were originally available in only two shades, so of course we stayed on the lookout for the booties to drop in more colors. Lucky for our fall footwear plans, the shoes are now available in eleven beautiful hues. 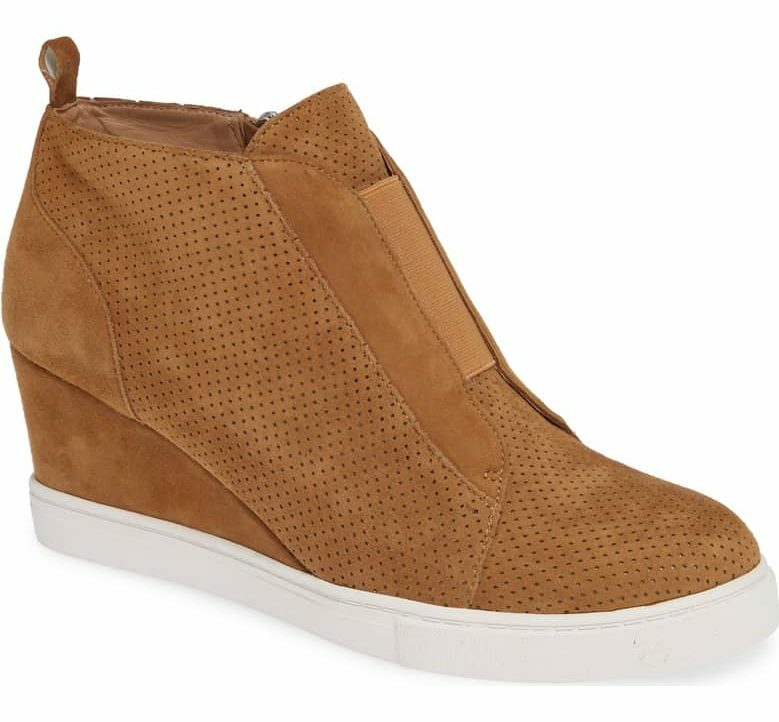 The Linea Paolo ‘Felicia’ Wedge Bootie is a simple way to add a sophisticated touch to our street style looks! It has a simple silhouette with a leather upper portion, lining and a rubber sole. The bootie also has a 2.5″ heel with a .5″ platform that gives the same lift as traditional pumps, but with extra comfort. We couldn’t stop swooning over the black camouflage and navy suede designs, but now we must add this cool Toffee shade to our growing shoe collection. 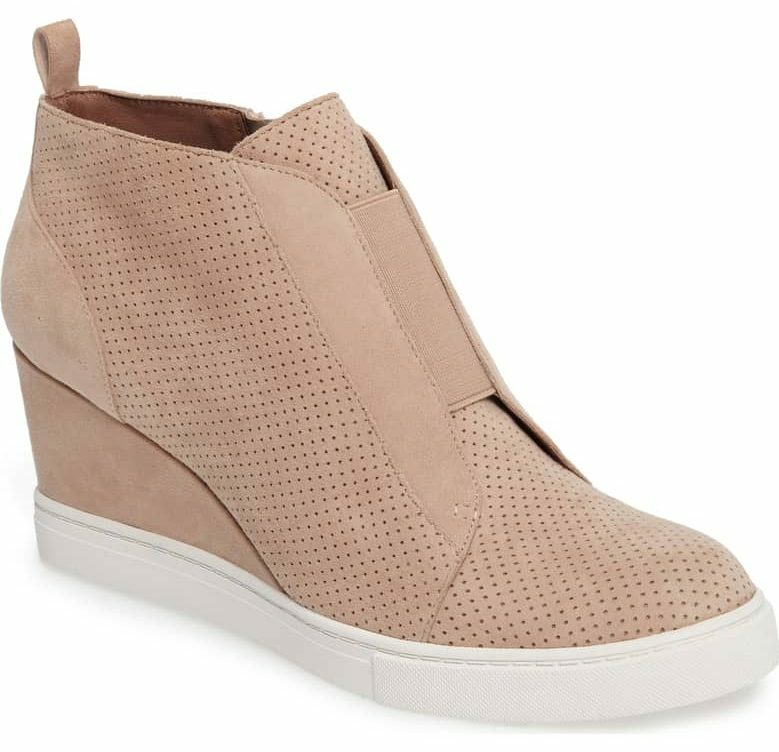 See it: Grab the Linea Paolo ‘Felicia’ Wedge Bootie for $119.95 while so many new colors are available! This Toffee shade is great for pairing with other neutral separates in our closet. We can easily pair the Toffee hue with our dark denim skinny jeans, a simple cute top and a shearling coat. The booties will also look great with a long-sleeve bodycon dress! Check out how cool the Toffee wedges look with a fully styled ensemble. Sizes range from 4 to 13! We’re not the only ones who adore the booties — more than 600 reviews back up our claim! Shoppers who purchased the booties raved most about how comfortable they are with one person noting they were perfect for the extensive walking they did on a trip abroad. 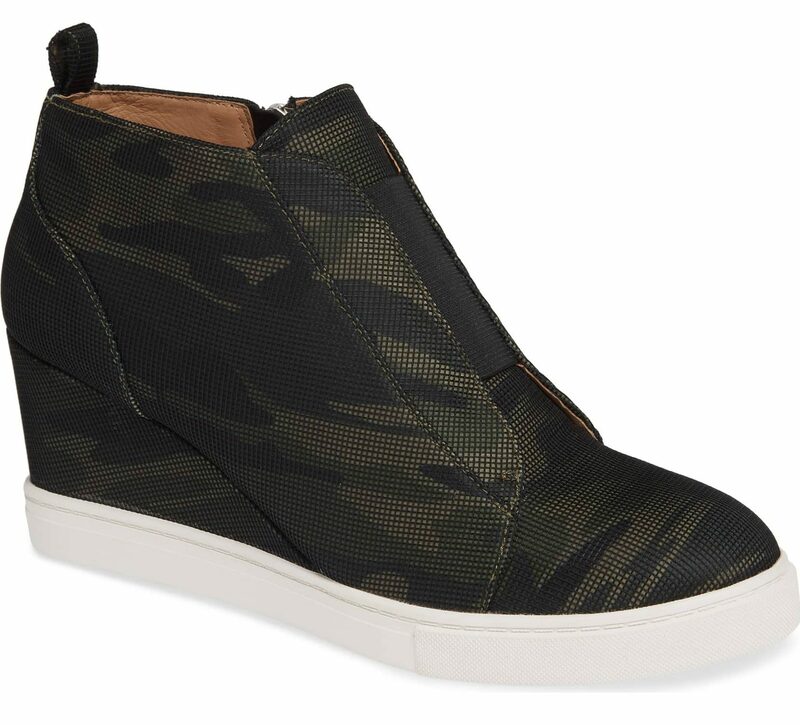 Another reviewer loved how the wedge design made her casual outfits look “instantly put together.” The most popular Linea wedge bootie styles named by shoppers are the different camouflage versions. Several shoppers noted that they grabbed the shoe in multiple colors. A few reviewers shared that the wedge booties ran big on their feet, so pay close attention to the style guide to grab the most comfortable fit.